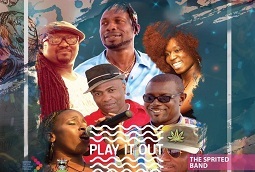 Spirited Band, based on the beautiful Caribbean island of Antigua and Barbuda, not only boast two great West Indies legends in their line up but also have some hightly talented musicians in their line up. For many, many years, the core members of Spirited have played together and the band continues to go from strength to strength. 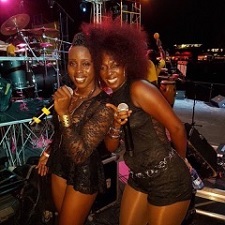 The female vocalists, Tamah Boston and Nadia Kellman, have beautifully harmonious voices that blend artfully together, soft and sultry in the reggae numbers and also able to get the crowd moving when they launch into soca and the more up tempo songs in their repertoire. Spirited Band performs a wide range of songs, both instrumental and vocal, ranging from love groove reggae; soca; calypso; R&B; classic reggae to rock n roll numbers – there is something for everyone and something for every occasion. When the scene is set and the audience are moving the band just plays and plays – they are one of the few groups who can, and frequently do, play for 3 hours non-stop!! Spirited Band is extremely popular both on the island and overseas. They play regularly for private parties, formal dinners, weddings, etc and at some of the best hotels and bars around the island such as Galley Bay Resort; Sandals Resort & Spa, Sottovento, Westpoint & King’s Casino etc. They have shared the stage with some of the top reggae artists in the world including Kymani Marley and Third World. Performed live on some of the most luxurious mega yachts at the Antigua Charter Yacht Show and have performed at international events such as Antigua Sailing Week, Antigua Classic Yacht Regatta, Grenda Masters Cricket Fest and the Antigua Barbuda 20/20 International Masters Cricket Fest. They have a wealth of experience at tailoring their performance to suit your event, and look forward to discussing your requirements.